Spray Foam Insulation can help you reduce energy bills, eliminate drafts, live in a more energy-efficient, comfortable and healthier home. Call Orr Insulation out of Salem Oregon today for a quote. FOR ALL OF YOUR INSULATION NEEDS IN SALEM, OREGON! Spray Foam Insulation is simply the best insulation you can install in your home or building in the Salem Oregon area. It is estimated that up to 40% or more of your home's energy loss is due to air leakage through holes, cracks, and gaps in the building structure. Spray foam can seal your home from air and moisture leakage, save on costly utility bills, strengthen your home, and help to protect your family's health from dangerous mold and airborne pollutants. Spray foam insulation out-performs conventional insulation materials because they (conventional insulation materials) trap still-dry air and if that air moves or becomes wet, the thermal resistance can drop by 50%. Spray foam protects against air infiltration, which can increase energy costs in buildings by 10 to 40%. Eliminate these drafts and live n a more energy-efficient, comfortable and healthier building by choosing spray foam insulation. 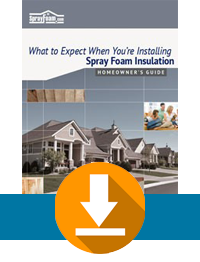 Have questions about using Spray Foam Insulation around Salem, Oregon? Let's Chat!